GE Energy Financial Services and JP Morgan unveiled plans to jointly invest $225m in NextEra Energy Resources’ 662.5MW wind farm in Texas, US. The milestone brings an end to a two-year construction wind energy project, which has seen 30 giant 5 MW wind turbines, provided by Repower. Fitch updates rating criteria for solar energy projects, photovoltaic (PV), concentrated solar power PV, and concentrating solar thermal power projects worldwide. Established in 1980, Borrego Solar Systems, Inc. is one of the nation’s leading financiers, designers and installers of commercial and government solar power systems. State Grid in talks to buy US wind power assets. State Grid Corp of China has had talks with US power firm AES Corp about taking a controlling stake in its US wind farn business. Spanish wind energy manufacturer Gamesa has signed a memorandum of understanding (MoU) with Baltic shipbuilding and engineering company BLRT Grupp. The Heritage Foundation’s blog recently carried an article questioning the value of the federal wind energy Production Tax Credit (PTC). The misinformation about tax credits and the wind farm industry continues. In a study of 725 Dutch residents, Van den Berg et al. (2008) evaluated factors associated with wind turbines annoyance, how they perceived the wind farm, and self-reported health. CSP Today explore the difficulties that the Indian Concentrated Solar Thermal Power industry have faced in treading the fine line between reliance on foreign expertise and building a local manufacturing base. 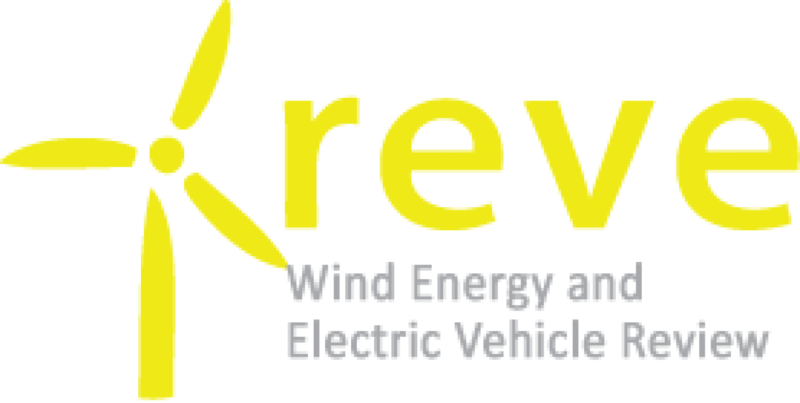 Designed to promote the use of Electric Vehicles and related clean vehicle technologies, the CVRP is a consumer incentive made available in addition to the $2,500 Federal Tax credit offered for qualified vehicles. Enerize Corporation (Enerize) will announce advanced flexible solid state lithium battery and single film polymer encapsulated photovoltaic solar energy hybrid device at the 2012 ARPA-E Energy Innovation Summit. Nordex was able to partially cushion the effect of the general pressure on prices in the wind power industry by establishing a comprehensive cost-cutting programme of wind turbines. Spanish wind power manufacturer Gamesa has signed a memorandum of understanding (MoU) with shipbuilding company BLRT Grupp. Gamesa is a global technological leader in the installation of wind turbines. “With Plugless Power, we’ve overcome one of the major obstacles to more widespread adoption of electric vehicles”. This news comes just over a year after the Michigan-based auto manufacturer released details of its planned fleet of 2012 model electric vehicles. Last fall, the Energy Department finalized a $1.2 billion loan guarantee in support of the California Valley Solar Ranch (CVSR) — a new solar power facility in San Luis Obispo County, California. Tasmania to have new wind power plant. Vestas has received an order to supply 56 wind turbines V90-3.0 MW. During 2011 it readied its superheated steam CSP technology for commercial-scale deployment, and further that its CSP design has been selected by the South African DOE for a 50 MW Concentrated Solar Thermal Power. GE Energy Financial Services and JP Morgan Chase jointly invested $225 million into NextEra Energy Resources’ 662.5 MW capacity Capricorn Ridge wind energy.